From schoolyard scuffles to gang-related shootings, youth violence plagues many American cities. Its spectrum is broad. Its root causes – deep-seated trauma from generational poverty and childhood abuse – are even broader. Since 2015, the Spokane Regional Health District has conducted an extensive study of violence among area youth. The report generated by the effort was released Tuesday. Its conclusion: Spokane County has some tough trends. According to the health district’s report, nearly half of Spokane’s youth – those falling between the ages of 10 and 24 – experienced at least one violence-related incident in the past year. About 25 percent reported being in a fight. Other key findings include one in five adolescents reported seriously considering suicide, and a third experienced depression. Students who reported a history of abuse were more than twice as likely to be failing in school, the report states, and academic failure substantially increased the number of violent experiences. The health district’s “Confronting Violence” report used secondary data from such sources as Healthy Youth Survey and Behavioral Risk Factor Surveillance, as well as interviews with service providers, including local law enforcement and the YMCA. Spokane County Sheriff Ozzie Knezovich believes the assessment accurately conveys the issues he’s seen afflict the area since joining the force 27 years years ago. African-American and Hispanic students were more likely than white students to report being arrested, and Native American/Alaska Native students were more likely than white students to have been bullied, according to the report. The health district also notes a “90-fold” difference between the neighborhood with the highest rate of violent crime – the Riverside area in downtown – and the lowest rate, in northwest Spokane. “Like income, education and other social determinants of health and well-being, experiences of violence are unfairly distributed,” noted a news release accompanying the report. The report did not look at national trends. Ashley Beck, a health district senior research scientist, authored the report, which she said was intended to bring attention to the issues and come up with preventive measures. Beck said a combination of risk factors contribute to the varying degrees of violence in the report, and their causes are difficult to gauge. The fact that most cases of domestic violence and child abuse are unreported doesn’t help, Beck said. However, over 50,000 incidents of child abuse were verified in Spokane County in the last decade. For the most recent year of data available, there were over 4,000 domestic violence offenses. Many factors – such as poverty, past exposure to violence, mental health problems – can precipitate youth violence, Beck said. Violent behavior can in turn exacerbate an already negative situation, leading to “cycles” that put youth increasingly at risk, she said. These cycles may begin early. According to Amy Knapton-Vega, executive director of the Vanessa Behan Crisis Nursery, the more times a child is kicked out of preschool, the more likely they won’t graduate high school. Half of the families the nursery serves, Knapton-Vega said, make less than $5,000 a year. The issues she sees among those the nursery serves are often cyclic, she said, with the stressors associated with poverty feeding a host of other issues, including violence. According to the report, adults who experience childhood or adolescent trauma are 2.1 times more likely to have mental health problems and 3.3 times likely to have serious mental illness. “It’s a very generational thing,” Knapton-Vega said. “The more they’re exposed to (violence) at an early age, the more likely they’ll experience it. Kevin Morrison, public information officer for Spokane Public Schools, points to various factors he said may contribute to youth violence. Morrison noted that while schools in Spokane County aren’t immune to youth violence, they take many preventive measures. 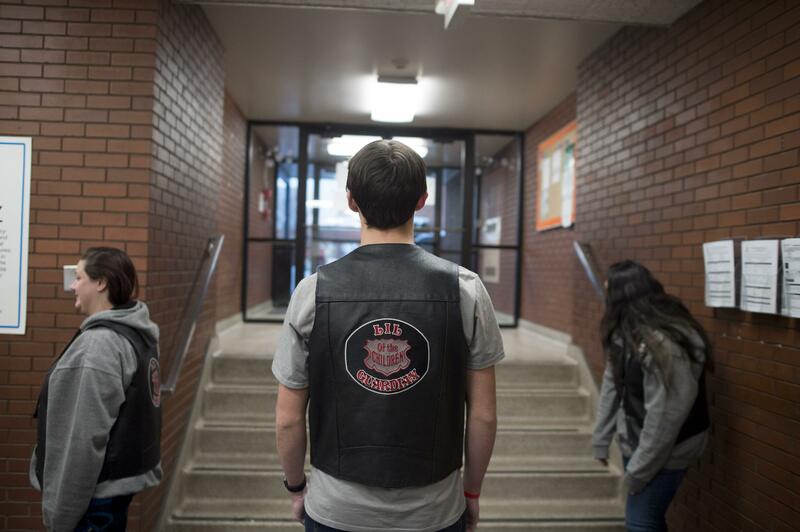 Spokane Public Schools helps provide support for at-risk and poverty-stricken students. “Early detection and providing agencies referrals of childhood trauma behaviors are only the beginning to our community developing long-term solutions,” Morrison said. Editor’s note: This story was changed on Friday, Sept. 29, 2017 to correct Kevin Morrison’s name. Published: Sept. 29, 2017, midnight Updated: Sept. 29, 2017, 10:31 a.m.